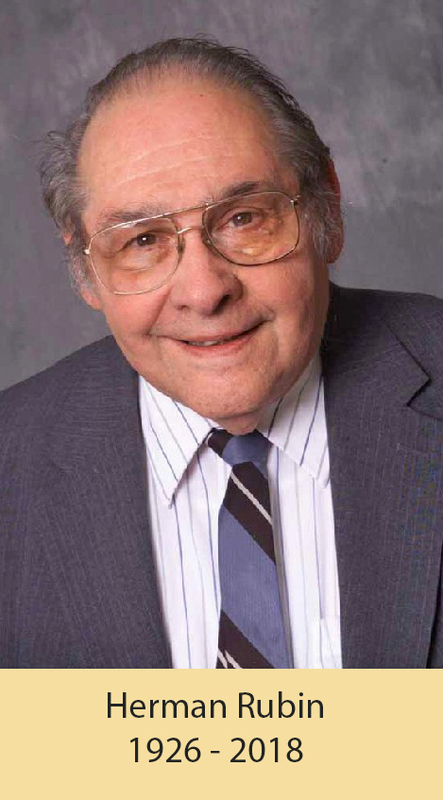 This lecture series was founded in 2018 in memory of Professor Herman Rubin, who joined the Purdue faculty as a Professor of Statistics in 1967. Professor Rubin previously taught at several institutions including Michigan State University, the University of Oregon, and Stanford University. He earned his PhD (1948), MS (1945), and BS (1944) degrees from the University of Chicago. He was also an inaugural Fellow of the American Mathematical Society and a Fellow of the Institute of Mathematical Statistics. Professor Rubin was a prolific researcher and collaborator, publishing more than 130 papers, including several on the fundamentals of statistics that have remained in the standard texts for the fields of multivariate analysis and econometrics and inference for more than half a century. To make a contribution to the Herman Rubin Memorial Lecture Series Fund, please visit our Giving page.